S T A Y A H E A D O F T H E G A M E IrishGolfer.ie is preferred by serious golfers. With all the latest news, equipment reviews and in-depth previews of upcoming golf events from Ireland (professional and amateur) and around the world on both the European Tour & PGA Tour. 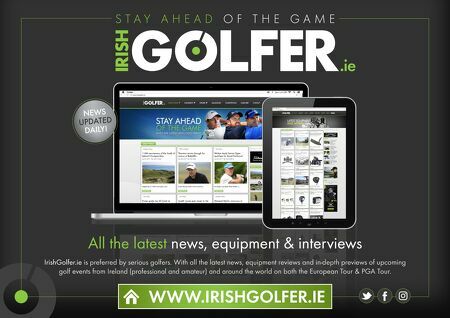 .ie All the latest news, equipment & interviews WWW.IRISHGOLFER.IE NEWS UPDATED DAILY!